The 20 Best Memory Supplements That Work! Memory loss has become a real issue in society with more and more people suffering from great mental decline and memory related issues. This is why it is vital to discover and start taking the best memory supplements available. Students constantly find it hard to compete with others in their class because of the mental pressure, employees feel overworked and business executives find it hard to keep track of everything that goes on. Thankfully, memory supplements have emerged in the market and some of the best memory supplements can be accessed and bought very reliably now. If you have been browsing the internet to hunt the best memory booster, memory pills or memory supplements, then you’ve landed on the right place and the right article to improve your memory. Since there is a wide variety of renowned memory supplements in the market, it gets harder to choose the best one. Simply make sure you understand the ingredients in each supplement and know if there is scientific evidence backing up the usefulness of said ingredients. Some mixtures of ingredients are usually labeled as a “proprietary blend.” There are more than a few ingredients that improve concentration, increase productivity, help your mood, and are great for your overall brain health but still do not improve your memory. Not all brain supplements or nootropics address memory problems. Here is a list of the best memory enhancement supplements and their ingredients. Acetyl-l-Carnitine (ALCAR) is an amino acid proven to improve alertness, focus, mental clarity, and mood. It works partly by creating acetylcholine, which is a big neurotransmitter that is responsible for learning, memory, regulating sleep cycle, in addition to performing other brain functions. ALCAR also works as a potent antioxidant and stops free radical damage in brain cells. Make sure you don’t confuse acetyl-l-carnitine with l-carnitine which is the cheaper variant. The recommended dose for ALCAR ranges from 630 to 2,500 mg per day and up to 4,000 mg if you are an Alzheimer’s patient. Choline is associated with the formation of acetylcholine, the neurotransmitter responsible for learning and memory. Alpha GPC is a bioavailable variant of Choline which actively enters your brain and helps in the formation of proper cell membranes in addition to boosting even more neurotransmitters like dopamine, serotonin and GABA. When Alpha GPC is used as a memory supplement, it can significantly improve your memory and attention span and counter any age-related mental decline. A normal dose of Alpha GPC is 300 to 600 mg. Buy it here. Considered one of the best memory supplements since the Ancient times. Bacopa monnieri is a recognized Ayurvedic herb that helped scholars memorize long scriptures. 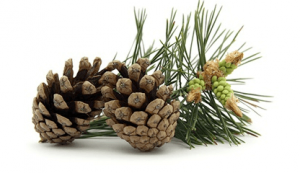 It was used as a popular brain tonic to enhance memory, learning, and concentration and also to treat anxiety, heart and lung problems and digestive disorders. 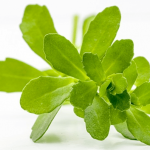 Bacopa is considered an adaptogen, being a plant that increases resilience to mental and physical stress. It balances the stress hormones and the neurotransmitters dopamine, serotonin, and GABA. A normal dose of bacopa is 50 to 100 mg taken three times per day, preferably with meals. Buy it here. Citicoline is a naturally occurring compound in your body that is made with the help of Choline that is found in eggs and most meat. Citicoline is proven to drastically improve memory, concentration, focus and attention and may work better than the popular study or smart drugs. 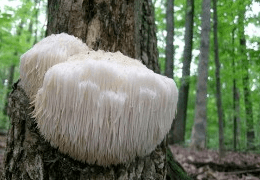 It is one of the supplements that is actually powerful enough to cure serious neurological disorders like age-related memory loss, stroke, brain injury, dementia, Parkinson’s disease and Alzheimer’s. Citicoline increases brain energy, protecting the brain from damage, and increasing acetylcholine. 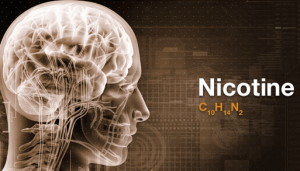 When looking for any Citicoline supplements, you might discover that some contain Cognizin which is the brand name of a highly bioavailable form of Citicoline that has been successfully tested in humans. Make sure you purchase from a reputable source! 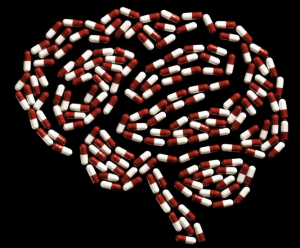 A dose of 1,000 to 2,000 mg per day is recommended for optimal cognitive enhancement. Buy it here. Turmeric is a spice that has been an Ayurvedic natural remedy and also considered one of the best memory supplements (and for the body). Curcumin, turmeric’s main ingredient, can easily improve memory and concentration by increasing blood flow, neurotransmitter formation, and brain-derived neurotrophic factor (BDNF), a protein that stimulates brain cell production. One study also found that Curcumin improves memory and attention in seniors. When you are choosing a Curcumin supplement, always look for one that’s taken steps to increase bioavailability. Otherwise most of the Curcumin will pass through your intestines without being absorbed. The recommended dosage is 400 to 600 mg three times every day. Buy it here. Ginseng is one of the most famous herbs that has had extensive research done on it. In some Chinese medicine it is considered as the elixir of life that brings strength, wisdom, and longevity to users. For maximum memory improvement, look for a Ginseng supplement which contains Cereboost which is an extract that has studies to back up its claims. It improves your memory, sharpness, alertness and clarity. You are recommended to take 400 mg daily for the best memory boost. Buy it here. Huperzine A is a compound from Chinese club moss which is a herb used for memory improvement. Huperzine A boosts acetylcholine levels by blocking an enzyme that breaks down acetylcholine. It functions a lot like the Alzheimer’s drug Aricept and in the US, Huperzine A is included in many brain supplements to improve memory, focus, and concentration. The compound acts as an antioxidant that protects brain cells from oxidation and environmental toxins. The recommended dosage is 50 to 200 mcg twice a day. Buy it here. Magnesium is one of the most underrated minerals because of calcium. Magnesium is needed for over 300 metabolic functions which directly affect brain and mental health. Magnesium deficiency can cause depression and studies have found links between low magnesium and anxiety, ADHD, aggression, bipolar disorder, panic attacks, and schizophrenia. If you ever feel “tired but wired” and have trouble sleeping, owing to acing thoughts or leg cramps, magnesium deficiency can be the answer. Inexpensive magnesium will do little for your brain but Magnesium threonate is a new form of magnesium supplement which can permeate brain cell membranes making it an amazing choice for improving memory, attention, depression, and anxiety. Supplements containing Magtein are popular since this is a patented brand of magnesium l-threonate that has been a proven cognitive enhancer. A suggested dose is 1,000 mg twice a day. 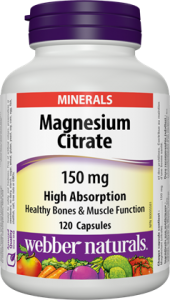 If you can’t find Magtein, try Magnesium Citrate, buy it here. Mucuna pruriens is a tropical legume known for enhancing memory, mood, and overall brain health. Mucuna pruriens works by increasing levels of the neurotransmitter called Dopamine. If you feel unfocused, unmotivated, lethargic, and even depressed. you may be low in dopamine. Mucuna pruriens is one of the top supplements to consider taking. It is recommended that you buy a reputable brand and follow their dosage instructions on the label. Buy it here. Omega-3 essential fatty acids are important nutrients for the proper functioning of your brain. The Docosahexaenoic acid (DHA) present in these acids is what benefits your body the most. DHA deficiency causes cognitive impairments by shrinking your brain. DHA itself protects aging brains from memory loss, depression, age-related mental decline, and even Alzheimer’s. Fish oil has a proven track record of improving brain functions of all kinds including memory, mood, and mental well-being and the same is rather rich in DHA. Fish oil supplements that contain between 200 to 500 mg of DHA and 700 to 1,000 mg of EPA are generally advised. Buy it here. Phosphatidylserine (PS) is a phospholipid found in your brain’s cell membranes. It acts as a regulator for nutrients and waste entering and exiting your brain. This phospholipid reduces the depreciation caused by stress by neutralizing Cortisol which is the stress hormone. It boosts memory and learning and can help those with ADHD and poor attention spans. Phosphatidylserine protects against age-related mental decline and helps treat Alzheimer’s and other various forms of dementia. PS can even improve mood and help with depression, especially among seniors. The recommended dose of Phosphatidylserine is 100 mg taken three times a day. Buy it here. Rhodiola rosea is an adaptogenic herb which acts by decreasing Cortisol while also increasing levels of the neurotransmitters serotonin, norepinephrine and dopamine. This is a renowned herbal remedy to try if you think your memory loss is due to excessive amount of stress, or by anxiety, depression, brain fog, or seasonal affective disorder (SAD). A normal dose is 200 to 600 mg per day. Buy it here. Vinpocetine is a derived from the periwinkle plant which is known to boost memory and your overall mental well-being. It increases blood flow to the brain and improves the use of oxygen in the brain thereby protecting your brain from any free radical damage. Some studies show that Vinpocetine is a potential treatment for mental decline, dementia, and Alzheimer’s and most clinical studies on Vinpocetine advise a dose of 10 mg three times per day. For maximum absorption, this is one top-notch supplement you should take with your everyday meals. There are some very popular memory supplements that either don’t have sufficient scientific research backing their usage or over-dosage of these supplements can lead to problematic side effects. Learn to use the following with care. Galantamine is derived from the snowdrop flower and acts by blocking the breakdown of acetylcholine. In the US, it’s approved for treating Alzheimer’s and is available as both a prescription and over-the-counter drug. However, if your memory loss has you concerned, this is one supplement you should not take before talking to your doctor. Ginkgo biloba is a popular herbal remedy used for memory improvement. However, Ginkgo has proven fruitful in improving memory and day-to-day quality of life for dementia and Alzheimer’s patients. It also helps counter depression and anxiety. Buy it here. MCT (medium chain triglyceride) oil is an ingredient found in “Bulletproof” coffee. MCT oil offers neuro-protective benefits for lots of neurological diseases including Alzheimer’s, dementia, epilepsy, Parkinson’s, stroke, and traumatic brain injury. According to a study, adults with mild cognitive impairment (MCI), an intermediate stage before dementia, experienced an immediate and significant improvement in memory after taking a single dose of MCT oil. However, there is little scientific evidence that MCT oil increases mental performance in healthy adults. This can be taken daily and is considered another of those best memory supplements and accepted universally. Resveratrol is found in red wine, grapes, and several kinds of berries that is sold as an excellent brain supplement to improve memory and provide protection from age-related mental decline. However, some studies concluded that there is perhaps no real correlation between Resveratrol levels and any health markers. Buy it here. One of the most vital compounds in green tea is EGCG (epigallocatechin gallate) which is especially protective against Alzheimer’s and Parkinson’s since it promotes new brain cell formation in the parts of the brain affected by these diseases and reduces risk of Alzheimer’s. It also counters depression, increases the calming neurotransmitter GABA, and actually changes your brain wave patterns. However, some supplements result in poor absorption of EGCG. Caffeine is present in coffee and tea, and is added to energy drinks, think drinks, and many brain supplements to boost energy, memory, productivity, and focus. However, you should avoid caffeine if you suffer from anxiety. Excessive levels of caffeine can cause significant anxiety symptoms. User this in moderation since it is fairly easy to get addicted. Isolated nicotine which is not derived from smoking tobacco is one of the best cognitive enhancers and more than 40 studies support the fact that nicotine improves memory, attention, accuracy, response time, and fine motor skills pretty safely. Still, experts advise against this unless you see or talk to a health care professional. Although not a natural nootropic, this supplement has known to provide most benefits listed above by combining the right dosage of the best supplements mentioned above into a simple pill, made and shipped from the USA. We highly recommend it, buy it here. Memory loss is a rapidly growing concern and admittedly not every kind of supplement can boost your memory or address this concern effectively. However, top memory supplements are available as single ingredient supplements or as a blend of several substances. Always make sure that you are using a supplement that contains ingredients proven to enhance memory and that you buy the product from a genuine and reputable source. There are many cognitive enhancers in the market, however it is understandable that for many new people it may not make immediate sense to start off with synthetic chemicals as the effects may be too strong and just not needed, below we will discuss 5 nootropics or 5 natural cognitive enhancers for memory, energy and alertness with the least amount of side effects and maximum benefits. All the cognitive enhancers below can be referred to as nootropics, cognitive enhancers supply the brain with a high level of neurotransmitters support or cause neurogenesis. It is advisable to know that these cognitive enhancers, as they are natural, take time to come into effect, they are not isolated chemicals that you would get from a lab based supplement. Some of these supplements have been used for literally thousands of years for cognitive enhancement purposes, as is the case of Bacopa in Ayurvedic Medicine. A-I isolated promote NGF (nerve growth factor). People say it is a good treatment for and prevention of dementia. Results suggest the possibility that H. erinaceus is absorbed into the blood and delivered directly to your CNS. Other potential benefits: immune-enhancing properties, hypoglycemic effects and antioxidant activity. Grab a pack of cigarettes, just joking. Although this goes against most people’s immediate sense, hear us out. There are nicotine receptors in your brain, and when entertained, you get more focused and alert. Ever see anyone taking “smoke breaks” to clear their mind so they can come back and focus again…? There is some science to this, however, many people also sip on a coffee when doing this, nicotine negates the effects of coffee, so you should do one or the other. If you have an addictive personality or are an ex-smoker, this is a obvious no-no, but many professors and scientists (not your MD) systematically recommend nicotine (gum, vaporizer or patch) over sipping on coffee for say staying up at night when you need to drive, or need mental clarity and energy. 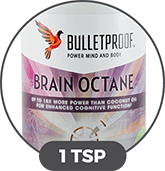 More specifically Brain Octane Oil, which we have written about many times. The brand we use is BulletProof, you are more than welcome to try any brand you like. Brain Octane just happens to be refined 18X, providing more direct ketone based energy for your brain than MCT Oil, which too is more refined than regular Coconut oil. Your brain loves to use “Fat” or “ketones” for energy rather than carbohydrates. It takes more energy to convert carbs to energy than fat. This should be supplemented 15 minutes before studying, put it in your coffee or just have a teaspoon of it, and your brain will have premium fuel to keep going for up to 2 hours. Have we mentioned Butter coffee? This is natural, healthy, and something you will enjoy, a real tri-fecta win. These guys have come out with brain octane tablet’s which are perfect to travel with as well if you want to check that out. They also have a new product called “Instamix” which has grass-fed butter + brain octane premixed, it act’s as a ‘creamer’ but is healthy. Read More about Brain Octane here. Well known as a cognitive enhancing plant — Bhrami in Ayurvedic medicine, it is to be taken at 750mg every night (could possibly need to take up to 3 pills) with a fat source. It is very important that this is a quality product, look for 50% bacognize, which contains a standardized amount of bacosides A and B). The obvious benefits include enhancing the brain with it’s own antioxidant enzymes. It may help with memory, anxiety, mental fatigue and visual processing. Make sure you supplement this for 4 weeks before deciding that it doesn’t work, and even when it does, it is not like caffeine whereas you “just feel it” it will come in the form of being able to remember things that you would not have been able to otherwise. Although this supplement isn’t a 100% natural, we feel like aside from Noopept it does encompass many natural cognitive enhancing ingredients that work exceptionally well together. Instead of taking one supplement at a time, you could yield the power of all of them in 1 go. 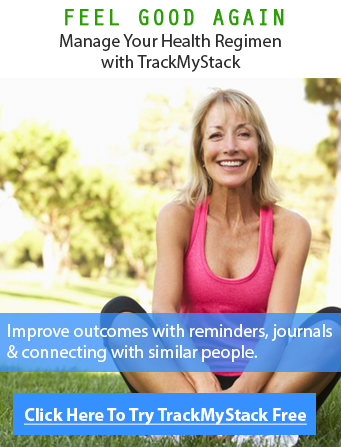 It is highly rated by users of TrackMyStack. Hopefully our reviews of natural cognitive enhancers is a good starting point for you to delve into optimizing your memory. You may learn more about each supplement in detail by clicking on the image to it’s left, and may additionally buy it as well if you feel like it is right for you. These are not as ‘mainstream’ but still very well researched plants, as you will come to see for a good reason as well. This is just our list of what we consider the best, your results may vary, and what better place to track it’s efficacy than TrackMyStack.com. “Natural brain enhancement” is possible it just may take more time to “build up” in your system and may provide additional benefits than just cognitive benefits as noted above. Share your results via a health journal on our site or write your comments below. Good Luck.